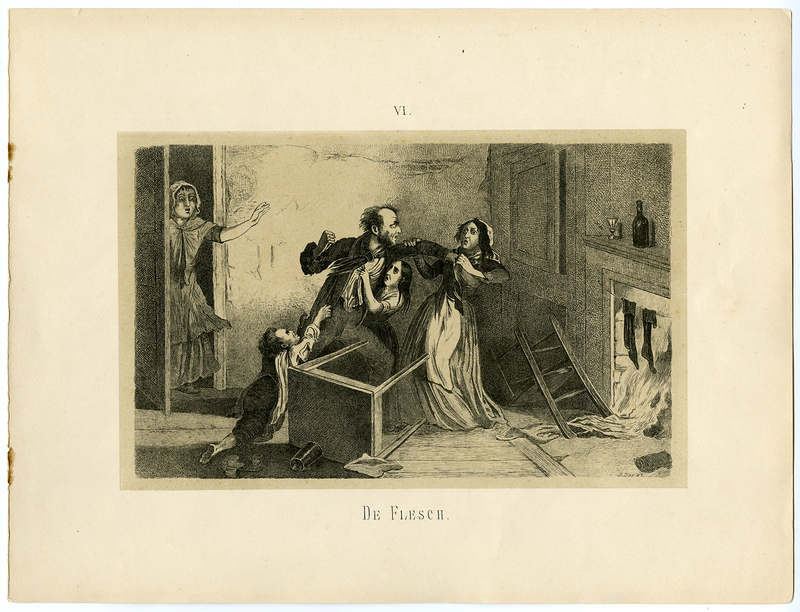 Subject: Antique print, titled: 'De Flesch, VI' - A late 19th century satirical/moralising scene. A man comes home drunk late at night and assaults his wife and children. Condition: Good, given age. Small rust stains in the left margin (from staple binding). General age-related toning and/or occasional minor defects from handling. Please study scan carefully.